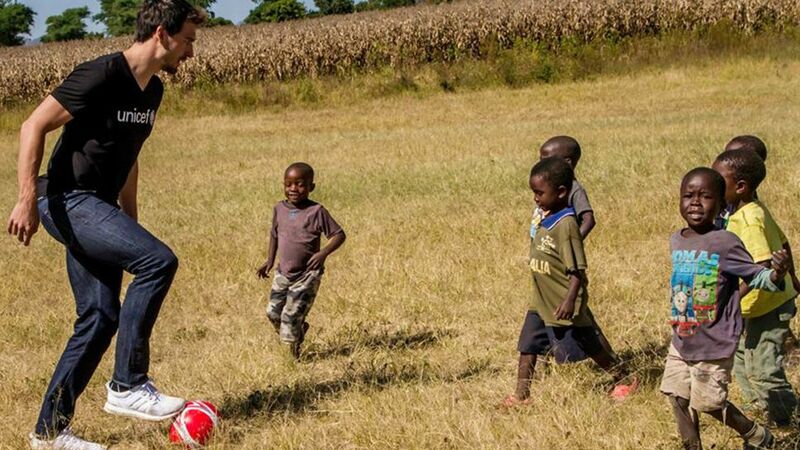 Mats Hummels played football with children in Malawi as part of his UNICEF trip. Mats Hummels has completed a three-day visit to Malawi as part of the Bayern Munich defender's work as a UNICEF Goodwill Ambassador. Get Hummels into your Official Fantasy Bundesliga team right now! Hummels visited a child care centre in the central Dedza District of the African nation in the hope of raising awareness of children's plight in the country. "Sport in general is always a good thing because it helps the kids. They learn how to work together and sport is crucial in building relationships among children,” said the Germany international centre-back. "My visit should help in many ways and there will be donations from Germany. I want to raise awareness for this cause in my country so that they can donate more money to people in Malawi, especially the children." Hummels interacted with children, played football with them, and helped serve them porridge at the centre. "Difficult to express in words what I am experiencing in Malawi during my first time visiting UNICEF projects," Hummels wrote in an Instagram post. "I am deeply saddened seeing the poor conditions these kids are growing up in! Help is urgently needed in so many different ways."